COPYRIGHT AND TRADEMARKS “Markit Health, LLC” and all logos including page headers, custom graphics and icons are trademarks and/or service marks owned by Markit Health, LLC. All other trademarks, product names, and company names and logos appearing on our website are the property of their respective owners. 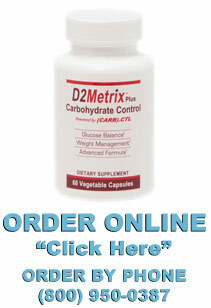 COMMERCIAL TRANSACTIONS Certain products or services may be offered for sale on (www.D2Metrix. (dot)com) In the event you wish to purchase or to subscribe for any of these products or services, you will be asked by Markit Health, LLC, (www.MarkitHealth(dot)com) to supply certain information, including without limitation, your full name, address, telephone number and credit card information. You agree to provide with the foregoing information as well as any other mandatory information that is accurate, complete and current, and to comply with the terms and conditions of any agreement that you may enter into governing your purchase of the product or service. You shall be responsible for all charges incurred through your account as well as for paying any applicable taxes. EXPORT The United States export control laws regulate the export and re-export of technology originating in the United States. This includes the electronic transmission of information and software to foreign countries and to certain foreign nationals. .
ADVERTISING POLICY We identify those items which are advertisements separately from those items which contain editorial content.